We all benefit from positive integrity in the workplace – companies, their clients and their workers. Integrity involves reliability, honesty, and good judgement. Those who show positive integrity in the workplace not only understand right from wrong but they practice it in all they do. This benefits the workplace where trustworthy actions are the foundation for successful business relationships. If you have ever wondered why this is so basic, try to think of it another way. 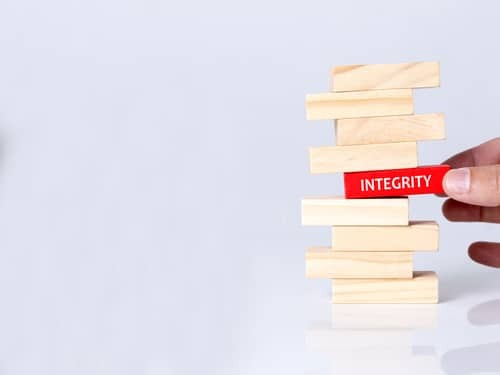 By promoting positive integrity, there is shared knowledge, better decision-making and a strong moral compass guiding your decisions and actions. However, careless behaviour and mistrust will make a work environment miserable and tense. It can be a painful discovery to realise your manager lacks integrity. It will undermine your entire job and make your life incredibly hard. When you notice a lack of positive integrity, no matter who is responsible, it cannot be ignored. It reveals itself most often in lack of consistency. But this does not equal a person simply not doing what they said they would do. In conversations, lack of integrity shows itself in a subtler manner. This can be revealed through slight changed of opinion or inexplicable changing of loyalties – either towards or away from you. Once you have spotted this, you need to be on your guard. It does not matter how well you do your job; outside forces will render your efforts useless in the end. As you detect these signs, step back and recognise that you need to alter your alliances rapidly. You have to ensure you associate with people that will allow you to keep a positive and productive momentum on your side. You need to be the change you want to see in your office environment. 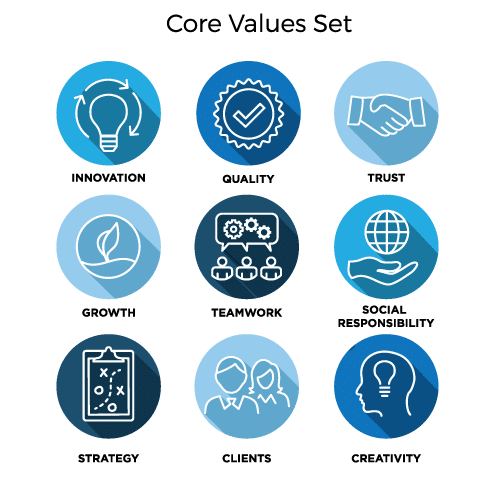 Treating others the way you want to be treated is the basic principle of how employees can display integrity in the workplace. Practising this makes sure that you will successfully counter the acts of people who lack integrity. This is because they are not acting out of honesty and this is generally easy to expose. Internal integrity – This is your integrity at the deepest level. Do you wear it like a badge of honour, or is integrity something you believe in at an ethical level? Internal integrity is about doing the right thing, even if you will receive absolutely no credit for doing so. And doing it even though it is the harder option. If you can do this, you will definitely be going in the right direction. External integrity – This is what you show to those around you. You display external integrity when your actions align with your thoughts and what you are saying. Image integrity – Similar to external integrity – this is the image of your integrity. While you might outwardly be displaying the right actions and taking the right path, can these actions be thought of in any other way? Are you leaving your image open to interpretation? People have great imaginations. When we do not understand something, we are very quick to make assumptions and form beliefs about why something is occurring. Looking after your image integrity is about making sure that none of your actions or words can be misunderstood. Whether you are a supervisor or an employee, your positive integrity and the way you treat others will rub off on other people. When an integrity question comes up, follow your moral code and do the right thing. Be open about your choices without boasting; your actions can speak for themselves. Follow these simple rules, and you will be an ambassador of the culture you want to work in.